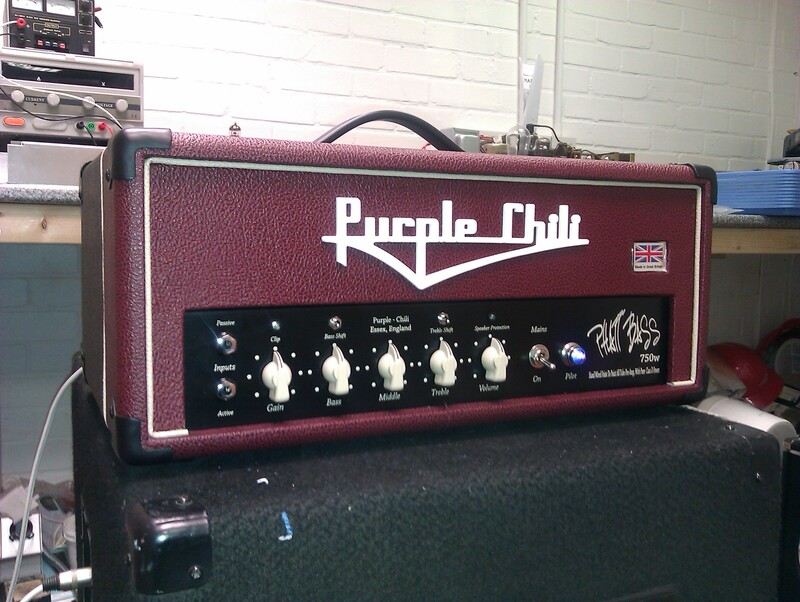 The mighty Purple Chili Phatt Bass 750 head. This beast delivers 750W into 4 ohms, and is a real foundation shaker. The amp features a Class D output stage, coupled with a valve pre-amp, giving warmth and power aplenty.